Size matters, but sometimes good things come in small packages and when the small packages are 250cc dirt bikes, it's really good. 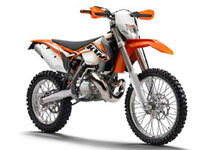 The brute force power of big bore 450s is nice to have, but the light weight, agility, and smooth handling of the current crop of 250cc bikes can also be advantageous. 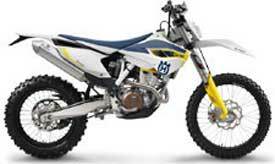 2015 is shaping up to be an awesome year for the small bore bikes; Honda's CRF 250X returns after a one year absence, Husqvarna offers the FE 250, KTM has the 250 XCF-W, and Yamaha has not only updated the WR 250F, they've also introduced the YZ 250FX. Competition is a good thing. Beginner dirt bike riders come in all shapes, sizes, personalities, and athletic abilities, and not all riders need to start out on an easygoing fun bike. The bikes listed here all have a bit of juice to them and will spit you off in a heartbeat if you're not paying attention, particularly the last three bikes. You'll need some confidence, athletic ability, aggresiveness, and above all, a healthy dose of respect for the bike's power to maim. 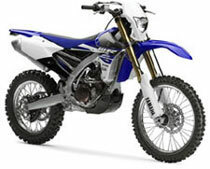 Just a head's up when it comes to comparing the bikes: the Honda and Yamaha use wet weight (aka curb weight), and the Husky and KTM use dry weight (i.e., no fuel, oil, etc), so the weight of the necessary fluids need to be added to the European bikes in order to make a better comparison. 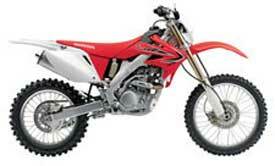 Suzuki and Kawasaki don't make 250cc trail bikes which is why they were left out. Two strokes are awesome woods bikes, but there just isn't enough room on one page so these are all four stroke bikes. 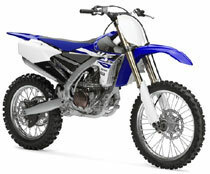 In order to avoid repetition, all the bikes have electric start, headlight, taillight, and kickstand.